It was a particularly uneventful episode of Survivor this week but we somehow managed to concoct a few talking points. Among them: Was there anything Malcolm could have done differently, and how soon will he be back? What the hell's going on with idols this season? Should there be a rule against private meetings at Tribal Council? And in a world where Culpepper is a legit winner candidate, could JT be his goat? All that and more below, here, or on iTunes here. Coming to you live from mid-February, we're back in conjunction with the RHAP March Madness winner tournament to unseal the evidence and debate every match-up as we cast our first official Survivor Supreme Court votes. Listen as we marginalize millionaires and help determine the champion of champions below, here, or on iTunes here. 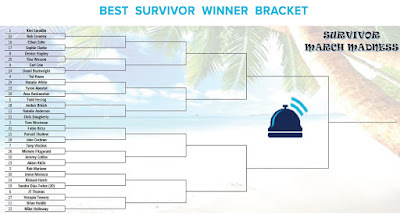 It's March Madness in Fiji and today we're back to mercilessly break down the latest Survivor swap, unless it has a baby nearby, in which case we'll take it easy. Is Brad actually in there with a chance to win or might he just be the latest Culpepper to lose in the finals? How much damage can a fully-armed Troyzan do to America's favorite players and will the guillotine land on Zeke or Cirie? And what are Dom's blazing vegetarian takes about GoatGate and how can the rest of us improve ourselves to become so noble? All that and more on the player below, here, or on iTunes here. 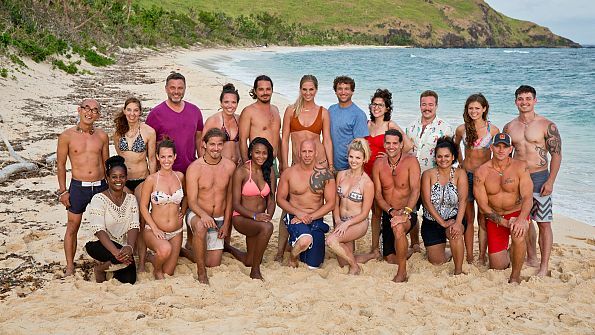 After a year of hype the wait is over, two votes are in the books, and we're back to break down the exhilarating premiere of Survivor: Game Changers et al. Where did things go wrong for Tony and Ciera, or were their fates sealed years ago? Which underdogs got off to the hottest start in WentworthWatch 2017? And after one of the most impressive episodes of her career, how long can the queen actually stay the queen? Find out on the player below, here, or on iTunes here. After spending far too much time previewing the entire Game Changers cast here and here, we're back today to take a closer look at the newly-announced twists with THRHAParade's Josh Wigler and offer first thoughts about how the changes might impact both the game and the TV show. As always you can listen on the player below, here, or on iTunes here.